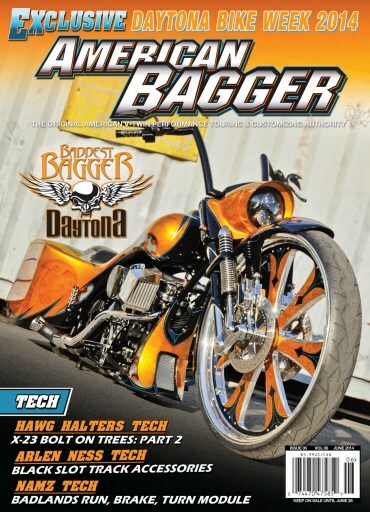 The June American Bagger features the Baddest Bagger in Daytona along with 2014 Daytona Bike Week Coverage. 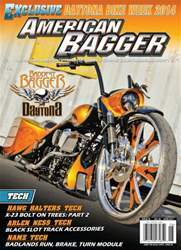 Cover Bike by Joey Pemberton is the Baddest Bagger Winner. Tech features include HHI X23 bolt on trees part 2 Arlen Ness Black Slot Track Accessories and Namz Run Brake Turn Module.